Now you can rebuild your own power steering gear with our rebuild kit! 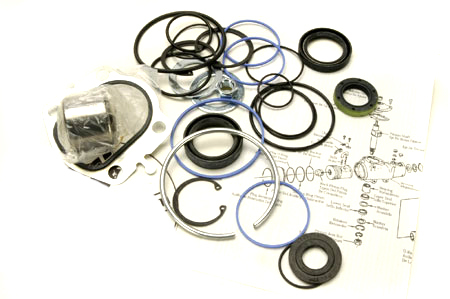 This comes with all of the seals, gaskets, and bearings required to rebuild your Saginaw power steering box at home. Recirculating balls are not included, nor are they typically required. We also can rebuild your old steering gear too. See SP13618 for that. For manual steering, call for pricing.